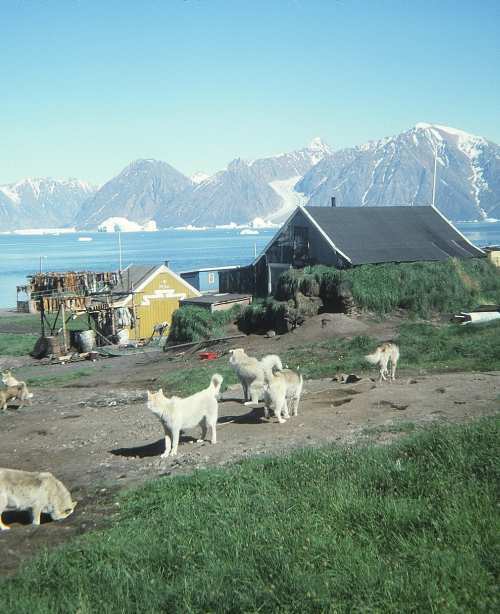 View from the village of Igdlorssuit on Ubekendt Island across Igdlorssuit Sound toward Upernivik Island to the east. 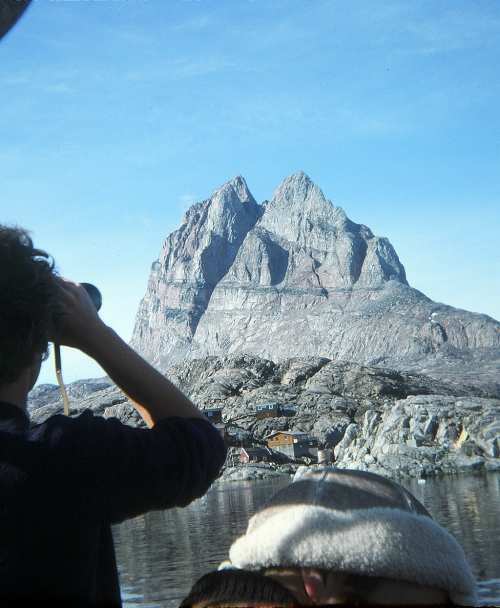 View from a boat to Umanak (Uummannaq) mountain and the town of Umanak (Uummannaq) in west Greenland. 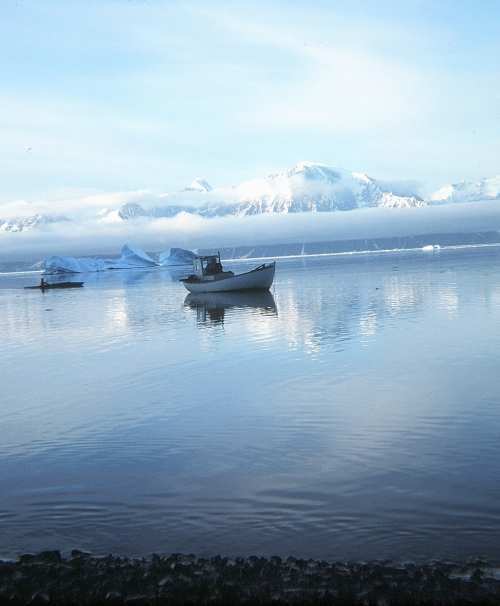 View from the village if Igdlorssuit across Igdlorssuit Sound to Upernivik Island to the east. Summer 1977.